Whether your business sinks or swims depends upon your employees. Staff that feel good are productive, interact well with colleagues and make a valuable contribution to the workplace. Mental health can have a huge impact on their personal wellbeing and performance. As an employer, you have a responsibility to promote positive mental health, along with knowing how to deal with employees who may be experiencing emotional, psychological or social difficulties. Let’s look at ways in which you can do this and keep everyone healthy and happy. That some of your employees are likely to be struggling in silence is an uncomfortable thought. However, anxiety and depression affect many staff and the problem is growing. Official figures vary but it is thought that as many as one in four employees in the UK suffer from mental health issues, whilst stress is now the biggest cause of long-term workplace absenteeism. For those staff whose mental health is affected, the winter can make matters seem even worse. Icy weather and dark days can make the busy office environment feel unbearable and increase the likelihood of clinical depression. Tasks take longer, concentration is impaired and conflicts can occur. You start to see sickness levels rise and productivity fall, so employee mental health should be at the top of your priority list. Our top tips for winter wellbeing address the reduction in daytime sunlight and the effect this can have on staff. Seasonal Affective Disorder (SAD), is a form of depression that can have a negative impact on mood and energy levels. Early employer intervention can reduce personal suffering along with minimising staff absence. Your primary response to anyone you feel may be in mental distress is to be open, honest and to show empathy. In practical terms, you might help make their workspace light and spacious, discuss reducing their workload or changing their working hours to suit them better. Whatever the mental health issue, employer understanding and professional support is vital. Staff should feel confident to approach their employer to seek help without fear of discrimination. Occupational health and counselling services should be available to employees, along with a positive, collaborative approach to managing their return to work. Again, open, honest and empathic should be your mantra. Of course, the commute to even reach work can be a stressful experience in itself. This can result in employees reaching their desks in an anxious state, especially if they arrive late due to unforeseen travel issues. A delayed train, or heavier than usual rush hour traffic can leave them guilty that they have let the company down, even though they may have left on time. A good employer will spot this distress, reassure the staff member and if necessary, discuss alternative options to help prevent a recurrence. This positive response demonstrates understanding, empathy and shows the employee that you are approachable. When the working day is coming to a close, this is time to check that staff are still in the right state of mind. It may well have been dark when employees left for work and upon leaving for home. Well-lit and spacious offices provide mental stimulation, whilst a dash of colour is a great antidote to those winter blues. Giving everyone the option to leave their desk environment during their working day is important, whilst communal spaces in your buildings ensure a relaxed atmosphere where staff from all levels of the business can interact and relax. Finding an empathic listener can be a communication lifeline to those in mental distress and a leafy, quiet area can be of great benefit, in the first instance, to employee and boss alike. However, staff should also be encouraged to confide in the counselling and occupational health services available to them. 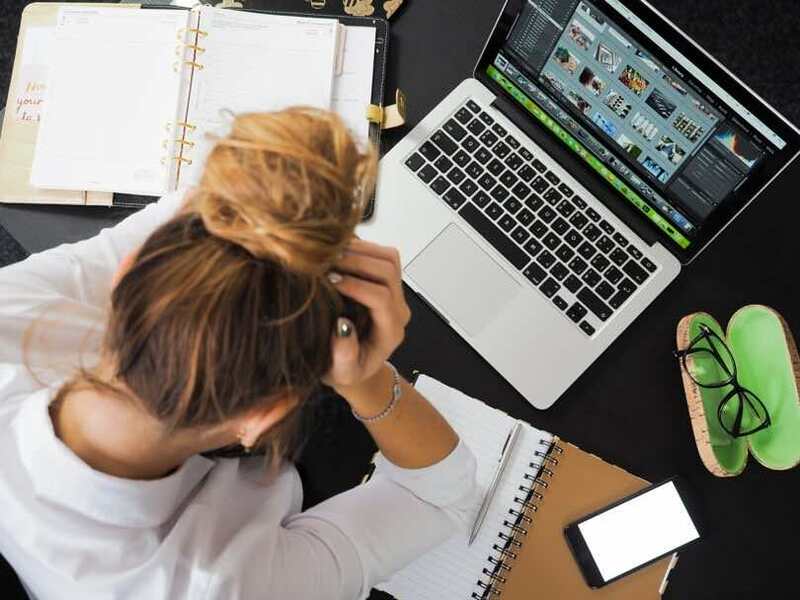 Taking work worries home is to be avoided at all costs, as dwelling on negative thoughts outside the workplace environment can bring on anxiety and depressive behaviour. Only this time, without the aforementioned professional support at hand. Stressing alone in this way can have destructive consequences, so a good initiative would be to encourage all staff to leave on time, including yourself. Unlike winter, discussing mental health and putting appropriate steps in place to support your workforce is not all doom and gloom. As an employer, it is a great opportunity to evaluate your business and to see how it helps those staff in mental distress, along with areas in which there may be a shortfall in the support provided by your company. Remember, this affects you as an individual too, as your stressful, elevated role means that you are run a higher risk of experiencing mental health difficulties. How your staff think, feel and behave while at work gives you clues about their wellbeing. Their reactions to stressful situations, interactions with colleagues and also decision-making, are all pointers to mental health. Yet, humans are capable of masking inner turmoil and this is dangerous. Making positive changes within the workplace and adopting an open, non-judgemental approach, shows your staff that you care about their wellbeing.